You just bought your dream home… Suddenly you hear that dreaded sound: water leaking. 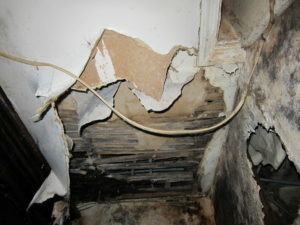 Most plumbers will tear your house apart leaving behind a mess trying to find a leak. Rest easy: AMA Repiping has a better solution. Your leak may very well be the result of polybutylene pipes. If your pipes are polybutylene, they will leak. Trust the experts at AMA Repiping to inspect, replace, prevent and resolve your problem. 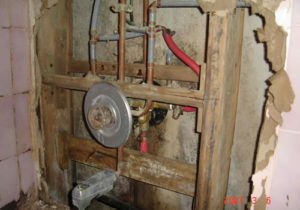 Within 3-5 days AMA will replace or by-pass the entire polybutylene water system. You’ll be able to use your water system while the work is being done. AMA Repiping repairs wallboard and repaints after surgically accessing and rerouting your new water lines. All materials and labor are covered by a transferable 25 year warranty. Call AMA Repiping for more information at (770) 682-3145. Or visit amarepiping.com. Our licensed plumbers are specialists in repiping, so when excellence matters, call AMA Repiping! 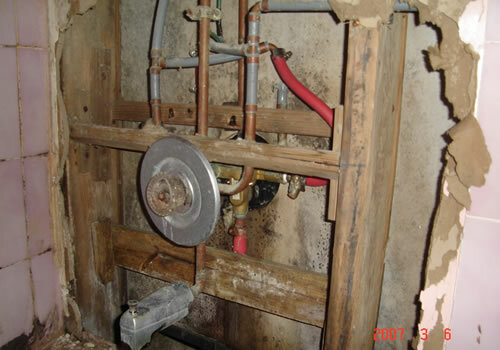 Read more about Polybutylene and Residential Repiping. Read more about Polybutylene Repipe.